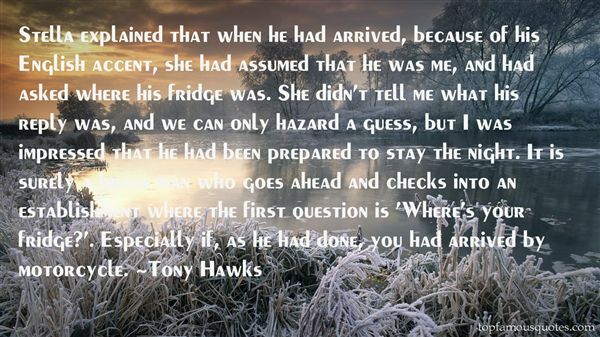 Reading and share top 7 Tony Hawks famous quotes and sayings. 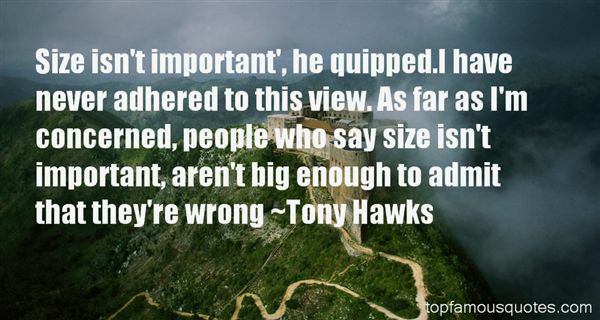 Browse top 7 most favorite famous quotes and sayings by Tony Hawks. I have to ask myself how I can possibly expect to know Jesus as he would want to be known if my life remains unscathed by trouble and grief. How can I hope to grasp anything of God's heart for this broken planet if I never weep because its brokenness touches me and breaks my heart? How can I reflect his image if I never share in his sufferings? And how will any of us ever learn to treasure his hesed and grace if we never experience phases where these blessings seem absent?" What Did Tony Hawks Talk About?